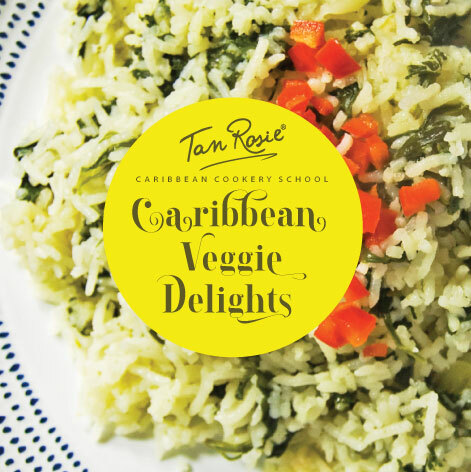 Learn how to make some of the very best Vegetarian and Vegan Caribbean dishes with us at Tan Rosie HQ. 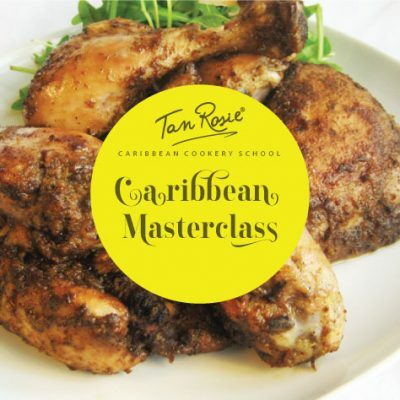 You’ll learn how to cook Corn Fritters, a classic St Lucian salad and a traditional Trinidad & Tobago curry with expert help and guidance from us at Tan Rosie. Get booking! What to expect on the day..
All ingredients and equipment will be provided. Recipe Cards of all dishes will be available to take home in a lovely presentation folder. You will be able to eat the dishes you make onsite with other fellow cooks once lessons have finished. Take all left overs home to eat after each lesson. Bring your own containers. Learn from experienced home cooks Monica and Lee from Tan Rosie. One-to-one guidance and cooking tips throughout each lesson. Details on where to buy Caribbean ingredients will be provided. Automatic membership to Tan Rosie Club for exclusive discounts and offers. See Tan Rosie Club page for more information. Complimentary tea and coffee throughout lessons. Complimentary Caribbean canapes on arrival. 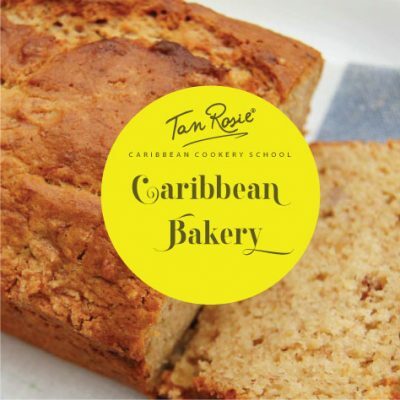 Cooks who book a ‘Full Day’ lesson will receive FREE Tan Rosie Caribbean Cookery School merchandise.